Easy to spot, this pattern has six ribs each with columns bearing 5 hobs between each. Apparently there was a long run of these vases as the pattern is found in at least five different base diameters. Typical heights are 9 to 12 inches. 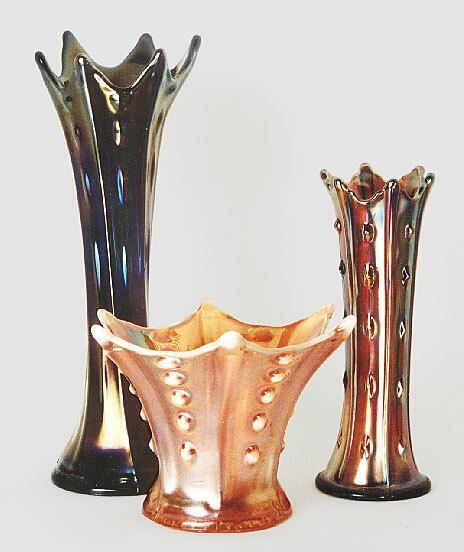 The squatty flared vases are quite unusual though not rare and frequently have base damage. A Tale of Three Vase Patterns here.